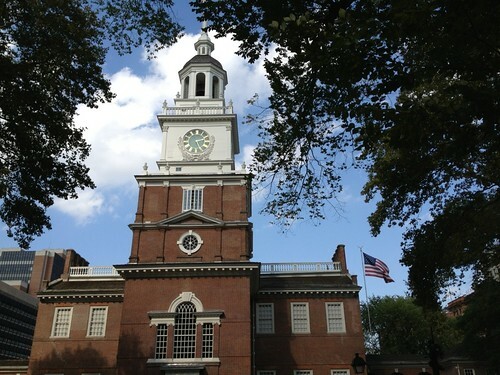 Toured Independence Hall! (Yeah, yeah, its real name is the PA State House. I know. But I wanted to see it for the reason it’s popular, and not the reason it was built.) 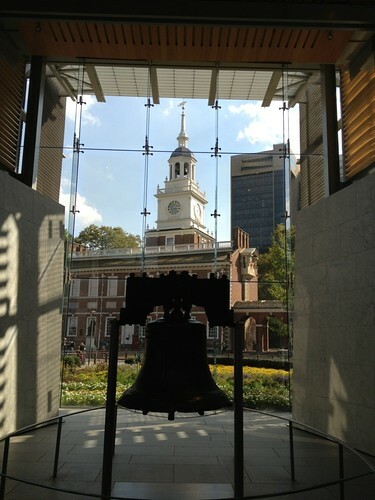 I’ve wanted to go here ever since producing “1776,” so I’m glad I was able to make it. Met my guy’s little sister. (I’d met his mom much earlier on, and his dad the day before – but Thursday isn’t part of the weekend.) Then we enjoyed a family dinner (with his family) that had surprisingly few awkward moments. Met one of my guy’s best friends from home, and spent hours chatting over tea and nachos. Met another of my guy’s best friends from home, and got serenaded by them playing guitar and singing silly made-up versions of the lyrics. ATE MY FIRST REAL HOAGIE. YUM. Spent way more time than I want to think about in an airplane. Had a yummy tri-tip BBQ pot-luck with theatre friends from home. Wonderful way to round out the weekend!